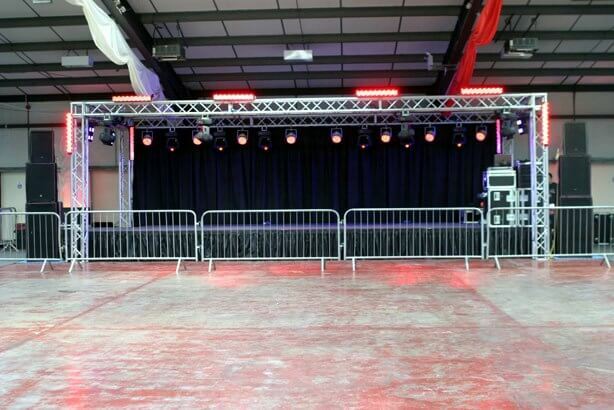 Are you looking for a structure that can support your banners, lighting and everything else? Look no further, we can create bespoke trussing structures that will suit your requirements. We stock Global F34 Trussing in various lengths as well as lots of corners and base plates. These truss structures are ideal for product launches, boxing fights, fashion shows mobile night clubs to name just a few. We can even provide the sound and lighting for your event along with technical crew if you are unsure on anything.